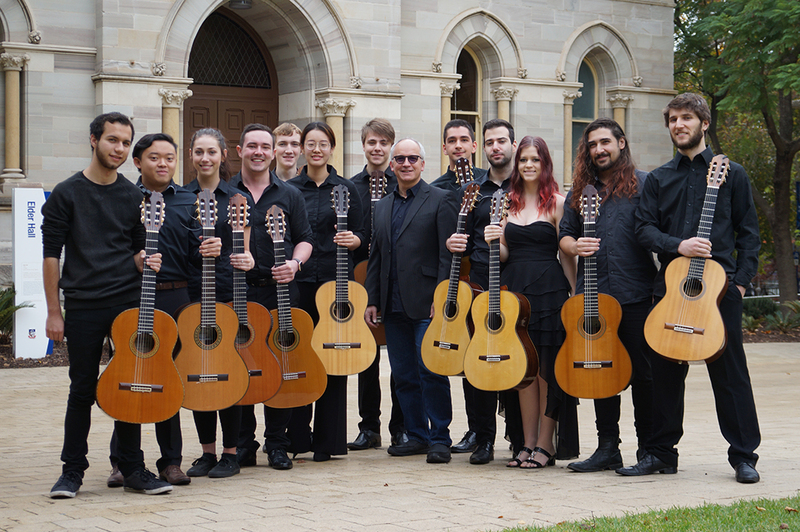 Under the direction of lecturer Oliver Fartach-Naini, a group of Elder Conservatorium classical guitar students are heading to South Korea, one of the world’s largest per-capita markets for classical music and a major force in contemporary and popular music. Bound for an in-depth cultural experience, their first stop is the third Korean International Guitar Festival in Yangpyeong near Seoul, where the students get to rub shoulders with Korean, Chinese and Japanese students as well as international festival artists. Apart from other cultural activities and festival performances their two-week study and performance tour will include a concert in Tongyeong, one of Adelaide’s partner cities within the UNESCO Creative Cities Network (UCCN). Their concertprogramme, Musica Australis features Australian solo and chamber music by Richard Charlton, Phillip Houghton, Adelaide’s own Stephen Whittington, Anne Cawrse and Ian Seaborn as well as student compositions by James Rawley and Callum Goodhand. This entry was posted in Exchange & Study Tours and tagged elder conservatorium, Faculty of Arts, music. Bookmark the permalink.